Should I use Coconut Oil? Coconut has been everywhere. As someone who isn’t that into having all my food taste of coconut I’ve felt a little left out of the latest craze, that was until I delved into the research. 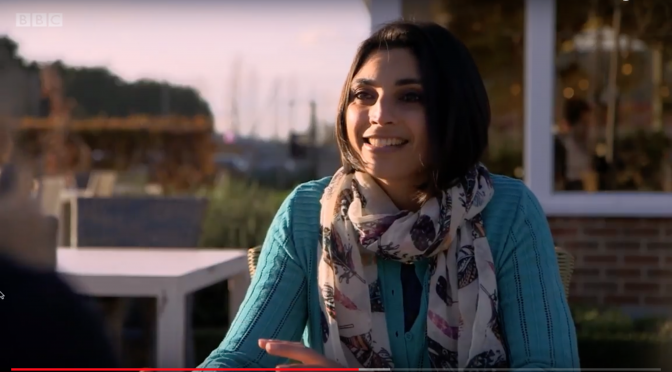 Hyped as a superfood (which is actually a marketing term not a scientific one) there are a myriad of claims but few are backed up by the science. Yes there are so studies that have been done but the problem is that often the evidence has been extrapolated. Studies conducted on animals or small scale human studies have then been used as the basis for a claim, but actually this is misleading. A good example of how articles can take a kernel of truth and blow it up into vat of popcorn. As of 2016 there are no large scale, good quality studies on humans. Short answer = Yes. It contains fibre, vitamins C, E, B vitamins, Iron, Selenium, Na, Calcium, Mg, Phosphorus, Potassium. Lactose free and suitable for vegans there are definite benefits to coconut. It is also lower in carbohydrates and sugars thans some equivalent products so there are potential benefits for those needing a lower carbohydrate and sugar diet and needing to control their blood sugar levels. However, we hit a milestone with the fat content. Coconut is without a question high in saturated fat. Let’s look at coconut oil first. Whoah! At 92% saturated fat that should stop you in your tracks. Just 2 tbsp = 20g SFA which is the recommended amount for a day. That’s without eating anything else. Yes there are polyphenols and micronutrients such as vitamins E and K in there too. In VIRGIN coconut oil the polyphenols are high, these are equivalent to virgin olive oil, but without all the saturates. The thing to keep in mind is that you only want to be using a small amount of any oil, so you are not really going to get a huge amount of all the micronutrients from it anyway. You are better off relying on your trusty fruit and veggies for your polyphenol dose. Fats: Some say the saturated fats in coconut oil are not an issue due to the principle fatty acid (lauric acid) being a medium chain triglyceride (MCT). These MCT’s can have a beneficial affect on CVD risk however Lauric acid doesn’t act in this way. Instead it increases levels of HDL cholesterol (which is good) but then also it increases total and LDL cholesterol also increase so overall it is not thought to have a beneficial affect on CVD risk. Coconut oil offers some polyphenols and micronutrients but also a hefty dose of saturated fat. For some dishes the coconut flavour works really well and enhances the meal. I particually like it in some Asian dishes. However a little goes a long way and it is someone to use sparingly. I would recommend not having coconut oil as the main oil in your kitchen, but certainly use it for those dishes that it adds that extra flavour to. 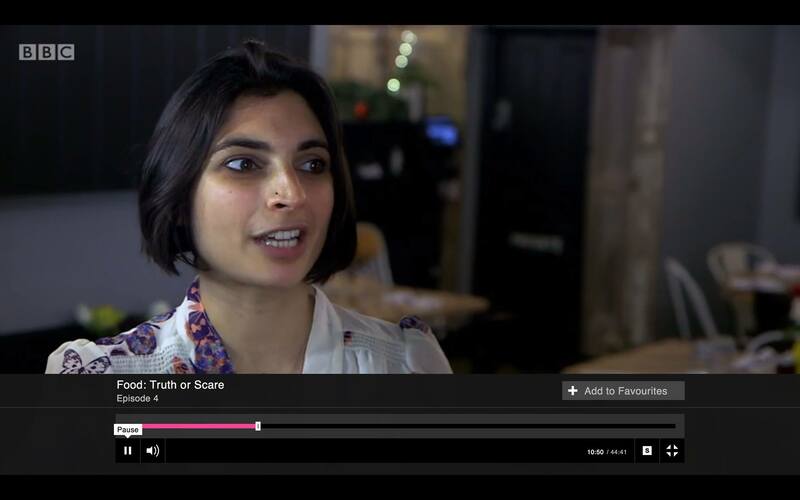 Priya stars on BBC1’s Food Truth or Scare. So if you weren’t watching BBC1 on Thurs 25th Feb at 9.15am then where were you? 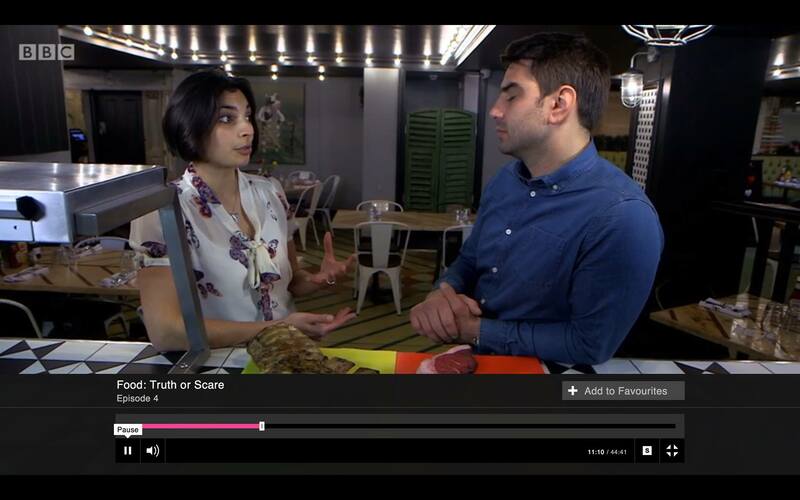 Well you missed watching me talking about red meat with Chris Bavin on the TV…. but don’t worry because if you are in the UK you can watch it back for the next 28 days or so. So get on over to BBC iplayer and check it out. I would love to know your thoughts so please do leave me a comment.